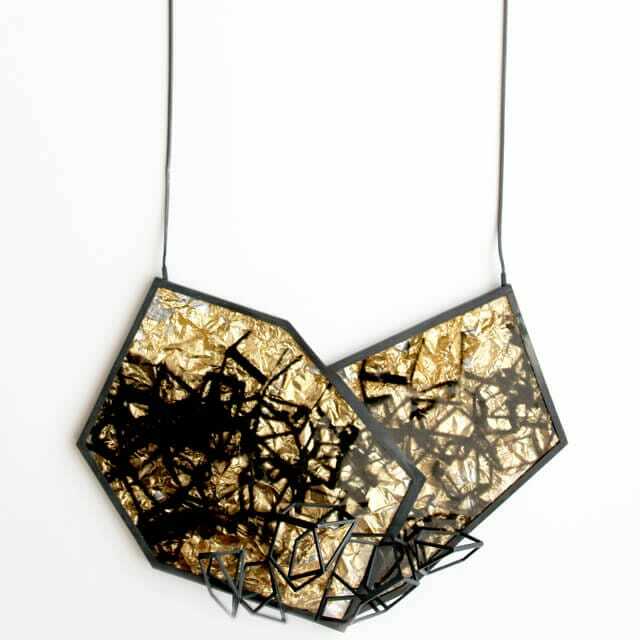 An eye-catching black and gold pendant with sculptural kinetic elements. A statement piece, which would be perfect worn with striking block colours. 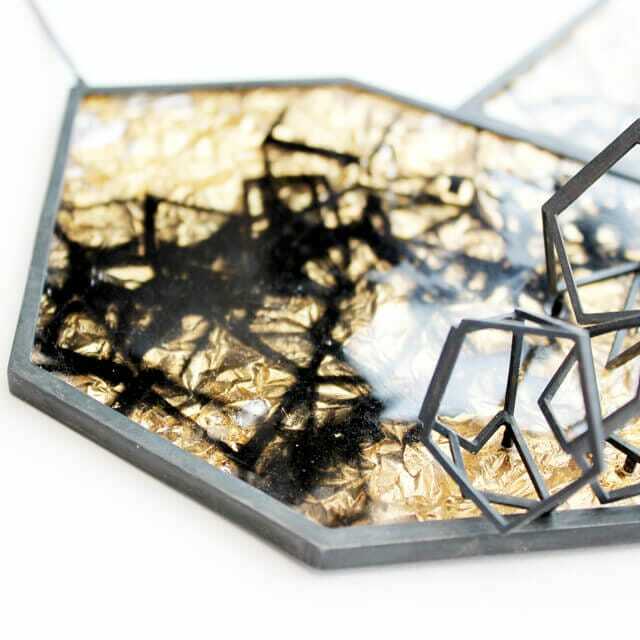 Inspired by distorted reflection and space, this statement pendant is influenced the fragmentary nature of observation. A bold contrast is created between the textural effect of the resin-encased gold leaf and the oxidised finish of the linear silver forms. Despite the contrasts, repetition plays a large role in the design on this piece, with pentagonal shapes distorted and skewed in various ways- both two and three dimensionally- to create each individual element of the whole. 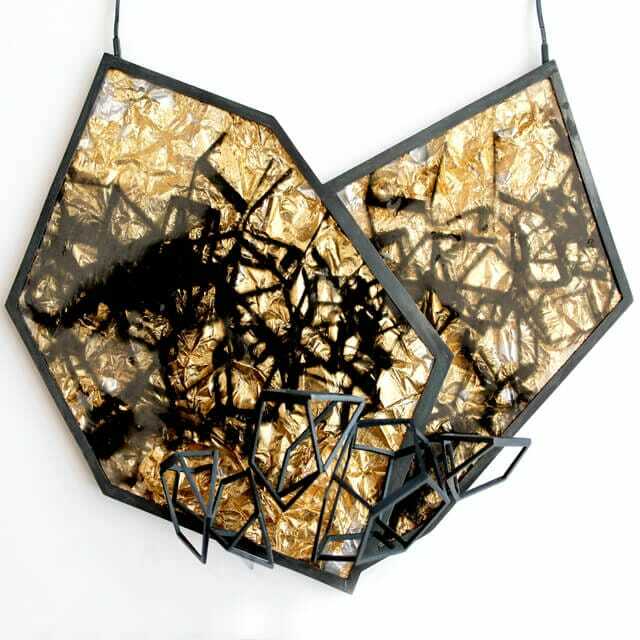 The kinetic forms -developed from simple pentagons- add another dimension to the piece which is representative of the intertwined nature of light, shadow, space, movement and context.